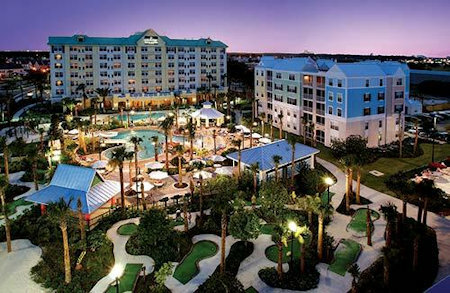 7 Nights in a 1 or 2 Bedroom at Calypso Cay Vacation Villas in Kissimmee, Florida! 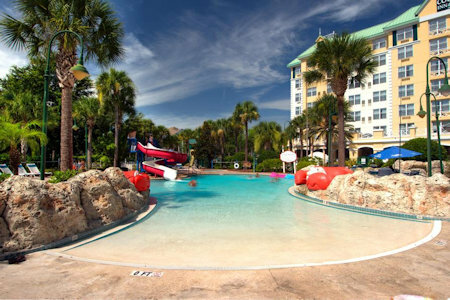 Calypso Cay Vacation Villas Near Disney in Orlando, Florida - Bid on a 7 Night Stay in a 1 or 2 Bedroom Suite! Enjoy 7 Nights in a 1 or 2 Bedroom Suite at Calypso Cay Vacation Villas in Kissimmee, Florida! Forget staying in a cramped hotel room - your Calypso Cay Villa is spacious and bright! Here, you can stretch out and relax in a festive setting that puts you in the mood for all of what Central Florida has to offer. Your villa combines the luxury of a condo with the amenities of a luxury hotel. The bathrooms at Calypso Cay are spacious and well equipped. The master bath has two separate areas, one for the spa/bathtub, and one for the shower and facilities. Getting a good night's sleep is essential while on vacation, especially after walking the local parks all day. 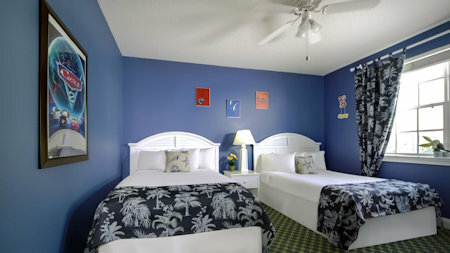 In your Calypso Cay villa, the beds are large, comfortable, and inviting. 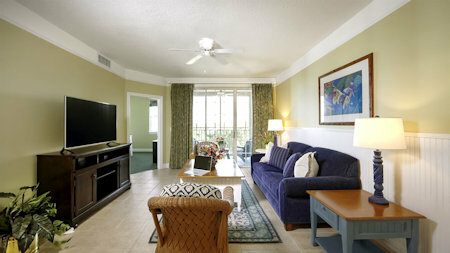 You also have your own entertainment center to enjoy while you recover from playing too hard in the Florida sunshine. Each villa is fully equipped with a great entertainment center, and a personal web-enabled computer that offers you access to Calypso Cay's internet portal and everything beyond. Your 1 BEDROOM VILLA will sleep up to 4 people and comes with a full kitchen. There is 1 King Bed in the Master Bedroom and a Sleeper Sofa in the Living Room. Your 2 BEDROOM VILLA will sleep up to 6 people and comes with a full kitchen. 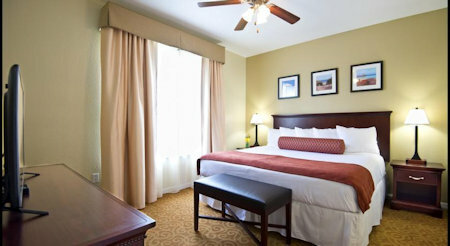 There is 1 King Bed in the Master Bedroom and 2 Double Beds in the second bedroom. 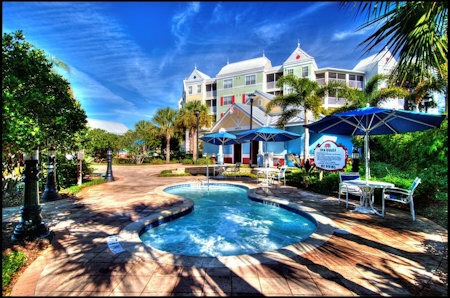 Resort requires a $250 security deposit payable with a credit card only!